*After watched My Otome, feel free to rate it or leave review comment about it. It will help our site and other member a lot. Thanks for your contribution. 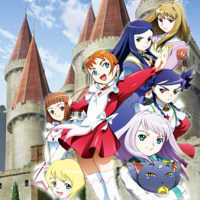 *You are currently watching My Otome HD/HQ online in english dub or sub for free at watchdub.co. Best source for download or watch anime, cartoon and animated movies. High quality and fast streaming.